PowerPUC-G5, Color Changing / RGB. 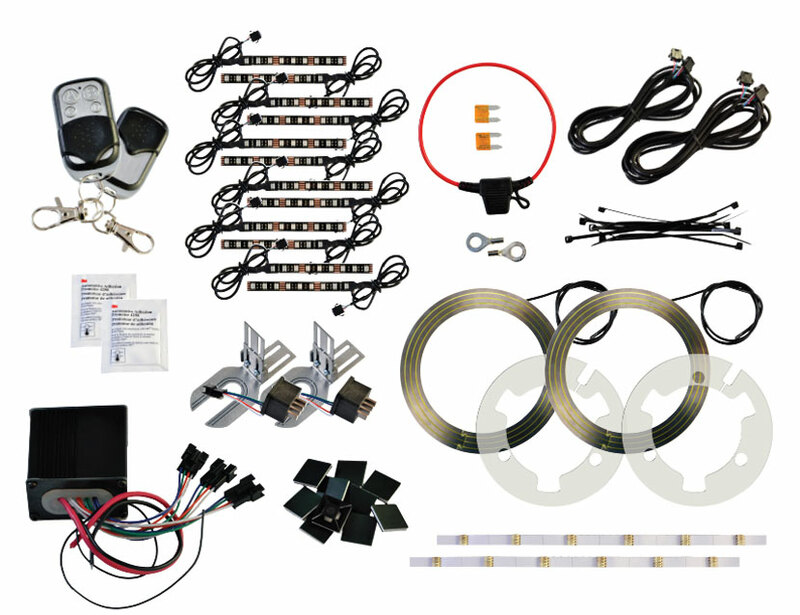 You are here: Home > Wheel Lighting Kits > PowerPUC-G5, Color Changing / RGB. Everything you need to create outrageous color changing designs directly on your wheels! Bring light to your wheels and be the center of attention wherever you go. Create wild effects with included Color Changing, Multi-Function Remote. Fraction of the cost of aftermarket wheels…and GUARANTEED more attention.